‘The Art of Tile’ Video Series… Episode 2! After the successful launch of our online video series for Hafary over Facebook and YouTube, we leveraged on the momentum to push out Episode 2, which delivers handy bite-sized tips on the basics of shopping for tiles. 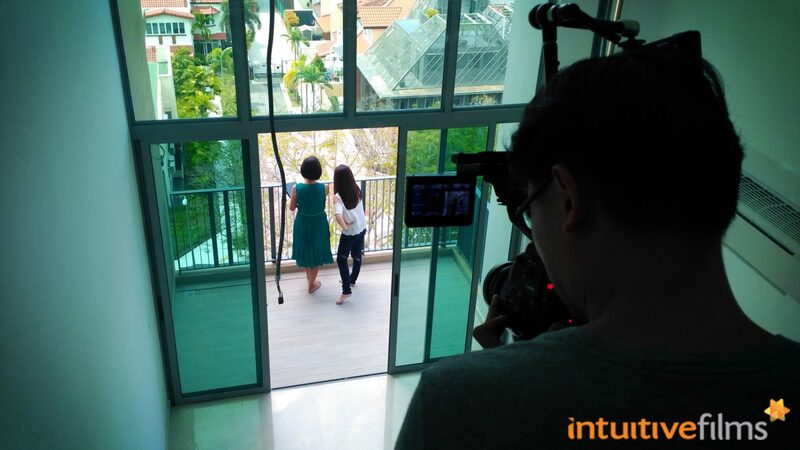 Behind the scenes of our video production for Hafary, featuring singer-songwriter and first-time homeowner, Kewei. With the first episode acting as a teaser and trailer promoting the series, our following 7 videos will each deliver different thematic content with practical tips that homeowners can use when planning for their new home. 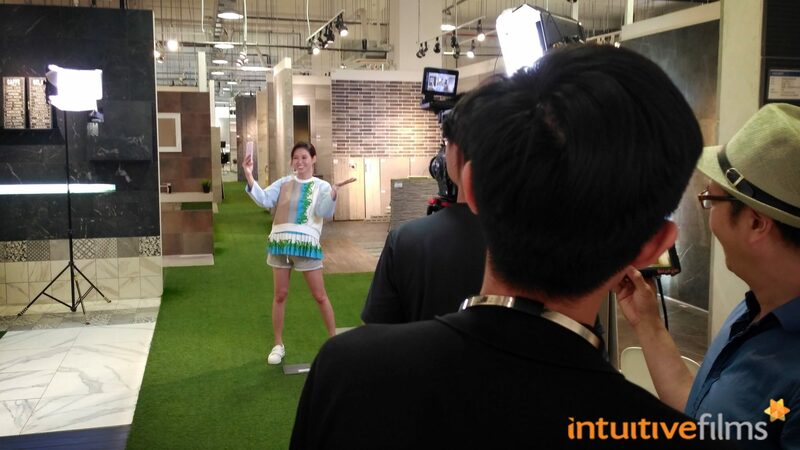 In this second episode, our host Kewei shares some of the basic know-how that will help homeowners when planning their renovation and interior design - so as to create a dream home that suits their taste while maximising their budget. Curious to check out how did we kick off the video series? Click here for Episode 1: Welcome to the Gallery! 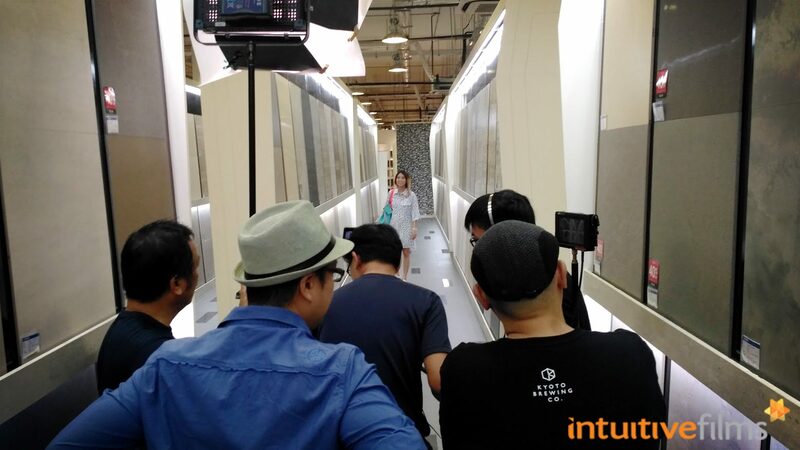 The video crew lining up a shot at the Hafary Gallery, surrounded by rows upon rows of stylish tiles. 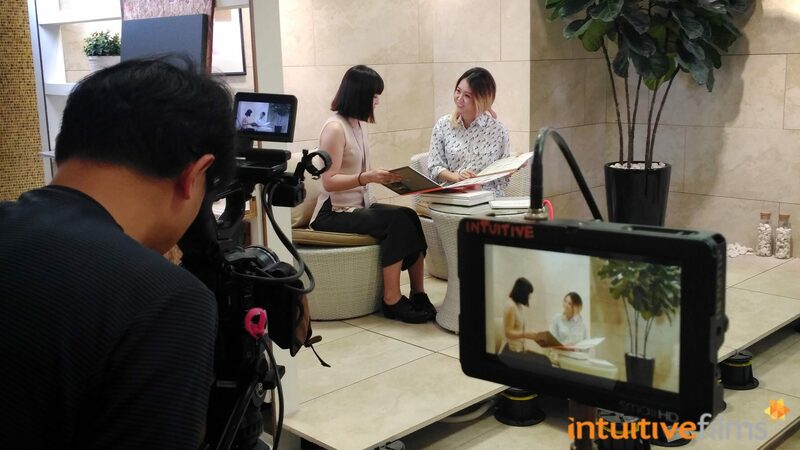 In a cosy mock-up corner in the showroom, where Kewei and our consultant from Hafary chat between filming. Production in progress as we started the day outside Hafary's headquarters and gallery showroom. We are very excited to announce the launch of our brand new web video series 'The Art of Tile' for Hafary, featuring singer-songwriter and first-time homeowner, Tay Kewei as our host. Meet our bubbly host, Kewei! 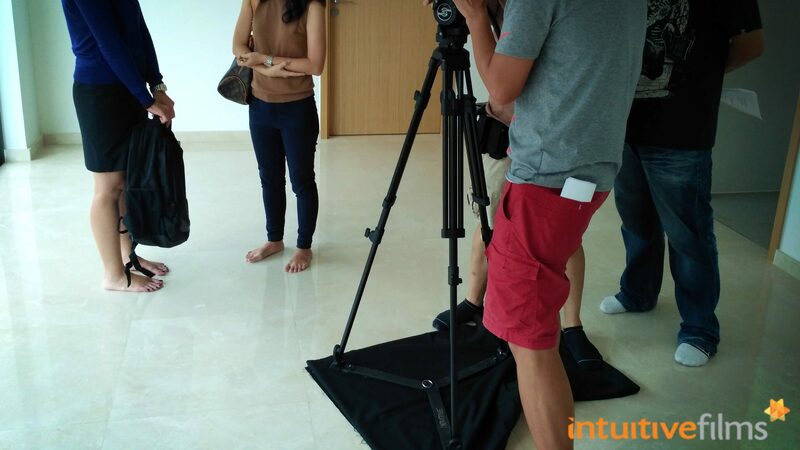 A first-time homeowner, Kewei also picked up some useful tips for her own home renovation while filming our video series with Hafary. 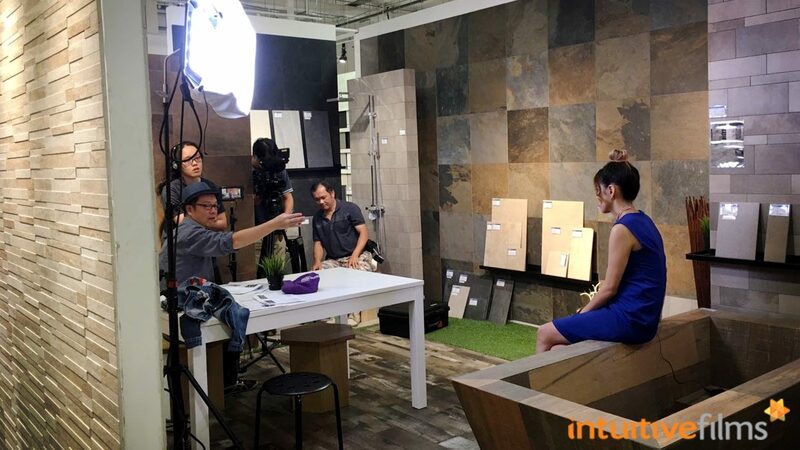 In this 8-part video series, Kewei will bring you through the Hafary Gallery, Singapore's largest tile showroom stocked with an impressive variety of high-quality, eye-catching surfacing materials and interior design mock-ups that will inspire your next home renovation (and achievement of #housegoals). 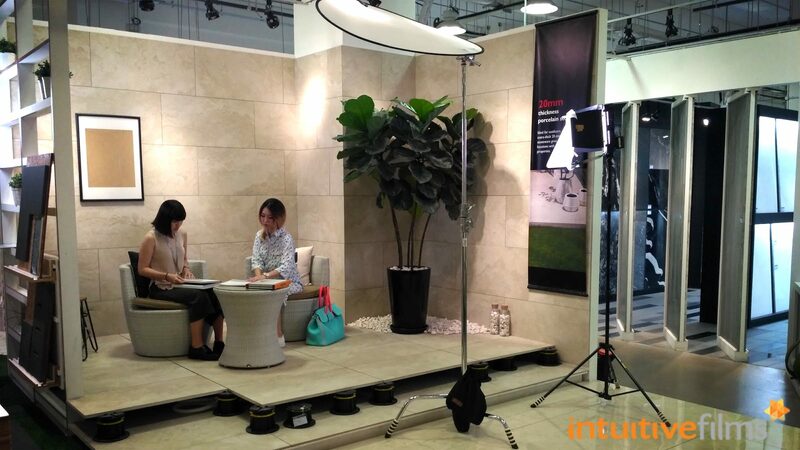 Behind the Scenes of our video production filming for the Hafary 'Art of Tile' online web video series. Find out from THE industry experts exclusive tips when shopping for your tiles, so that you will be equipped with the knowledge and know-how when discussing with your interior designers or contractors on building your dream home. 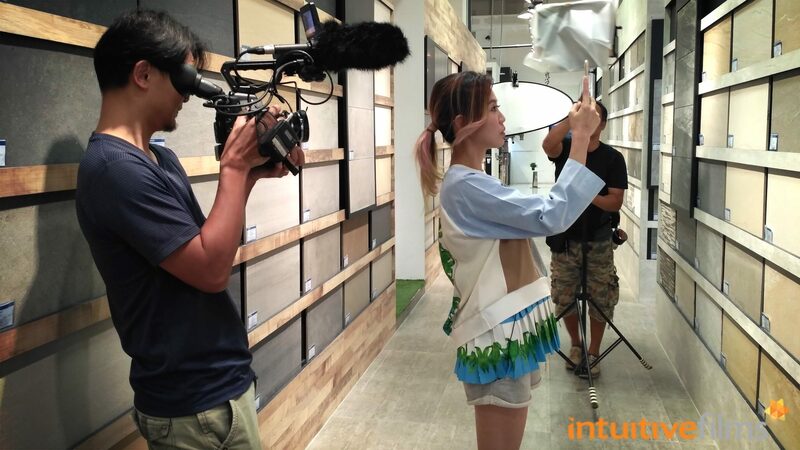 Check out Episode 1 and follow Kewei and us on this fun and colourful journey into the wonderful world of tiles! Filming Kewei with the friendly consultants over at the Hafary Gallery. May 7, 2017 - No Comments! 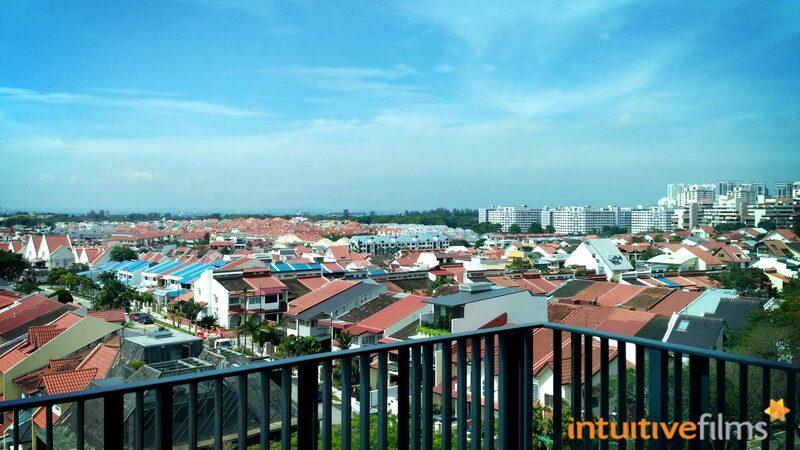 Looking out to the horizon and beyond - from one of the apartment units at The Glades. The moment you look up, you see the skies, unobstructed in all of its vast glory. Clouds drifting lazily along. You see a plane passing by. It’s heading for a destination unknown and soon disappears into the clouds. The skies continue to extend out for miles ahead, past the red roofed dwellings and pristine white apartment blocks. From where you are, they look like miniature figures, densely placed yet seemingly arbitrary. The sky finally meets the sea, the eternal parallel forward into the horizon. In that moment, it is almost impossible to relish in the view and to admire this moment for a little while longer. Too dramatic? Well, you just have to experience it for yourself. Running through the day's shot list on the beautifully landscaped grounds of The Glades. I had the golden opportunity to do so during our video production for Keppel Land earlier in April, as part of their efforts to show appreciation for their staff this Labour Day. As an ongoing video partner with Keppel Land, we sought to find out more upon receiving the brief, so as to best bring out the heartfelt message they'd like to convey with this video, that will be distributed over social media. The focus of this particular video was on the staff of The Glades condominium. 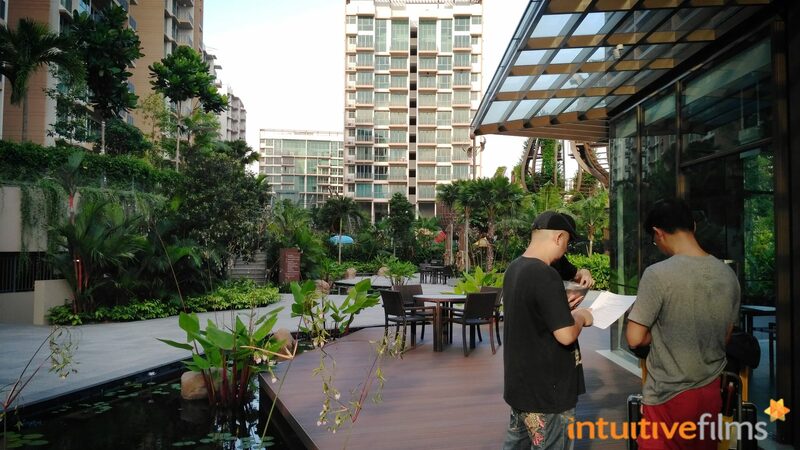 Also known as the Customer Focus Unit, this customer-facing team works tirelessly to provide the best services and quality of housing for homeowners before they receive their properties. We were introduced to two of the staff members, who are featured in this video, and treated to delightful anecdotes and heartwarming stories of their experiences in serving the residents. Enhancing the well-designed showroom with some lighting techniques for our interview setup, while keeping the look natural. Let us pull back the metaphorical curtains, or in this case, the showroom curtains, and give you a sneak peek of what went down in our production shoot! Our filming location was of course set in The Glades condominium. The filming took us across the property, into several residential units, showrooms as well as their clubhouse. Everything about this place is totally #housegoals, beautiful down to every corner and detail, tastefully curated and full of character. Filming one of our featured interviewees from the loft. Seriously, it’s hard not to do a double take and wish that this was my very own home! For the uninitiated, filming equipment can be quite heavy-duty and rugged. Yet at the same time, certain gear requires the most delicate of attention. So in any given shoot, every crew member is always mindful to treat each piece of equipment with the respect and care required. It’s like trying to walk on still water. Let alone a group of filming equipment that needs to be moved around here and there. Filming is all about doing it in the most efficient way possible, but health and safety always precede anything in filming. So, filmmakers are always conscious about doing things carefully. Yes, similar to the ones we don on our feet, we improvised and found some mini socks for some of our heavier equipment. 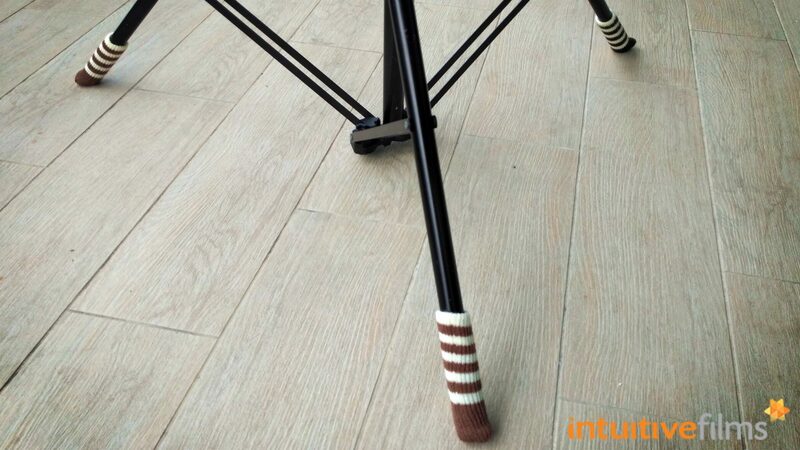 They not only make the equipment ridiculously cute (we picked the striped versions for a reason), but also make them safe and scratch proof – bonus points all round. No amount of dragging would damage the flooring, but still, be careful. Socks! Striped socks, at that. Pro tip 2: A simple piece of cloth. If a piece of equipment can’t fit into socks, then laying a piece of cloth down for the equipment would do. It’s that simple! As long as there is something to prevent the equipment from making direct contact with the floor, it would ease the stress of damaging a pristine new apartment's interior. Taking care of & respecting our filming location with some precautions. 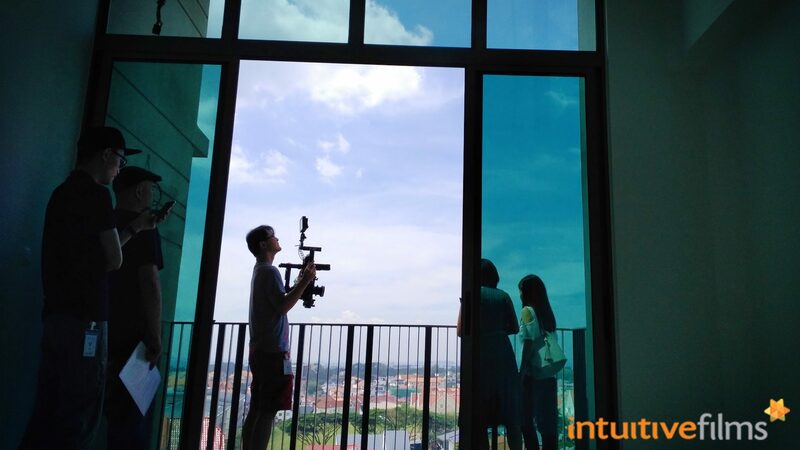 A saying goes in the film industry: ‘Anything that can go wrong will go wrong.’ There are always new challenges and problems that could arise in a film shoot, sometimes unpredictable, hence our team is always alert and observant. If something is preventable, protective measures would already be in place, but if something unexpected does pop up, it would be dealt with swiftly and effectively. For this production, we decided to incorporate an additional piece of equipment that we felt would really add value in bringing out the spaciousness and beauty of The Glades. Meet the DJI Ronin, a handheld 3-axis camera gimbal that allows us to produce fluid and stabilised movement shots while moving freely and origanically around a space. The result: dynamic visuals with cinematic effect. With our featured profile on a lovely afternoon and a scenic view. This device, however, is extremely fickle and delicate. High-end as the internal mechanics are, it still takes an experienced crew member to do the calibration and balancing for different combinations of cameras and lenses, for it to perform with the intended precision. And so it happened that the Ronin decided to be a little moody and erratic on our shoot day (I swear some of our equipment are sentient beings in their own right!) - it was a nerve wrecking moment for everyone on set, as we coaxed, begged even, to get it to cooperate. Perhaps it sensed our sincerity (or desperation? ), or maybe it's because of our methodical troubleshooting, the Ronin soon got over itself and rejoined us as part of the team. Which allowed us to proceed with our plan to capture the sweeping shots we had intended that would totally do justice to the space we were in. We would like to say a big thank you to Keppel Land, as well as the CFU staff from The Glades whom we've had the pleasure to meet and feature in this video. 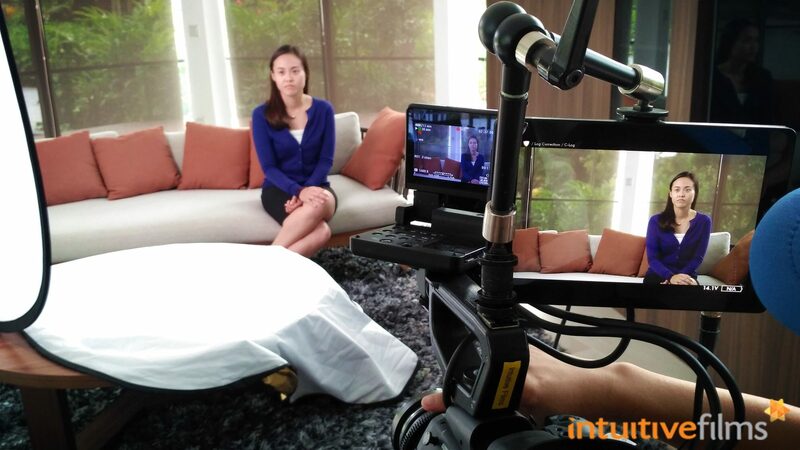 This article was contributed by Si Hui, Apprentice Assistant Producer at Intuitive Films.